Have you been searching for a great Winchester plumber? Call 951-428-1565 today and you’ll be connected with the pros at 24-7 Plumbing and Drain. Click here to see the great savings and discounts on our coupons page. A clogged or slow running drain is one of the most common plumbing issues you can run into. Several factors can contribute to your drains becoming clogged: food and grease can coat the walls of your pipes, hair and other foreign objects sent down the drain can further slow down the flow of wastewater. The way your drainpipes were initially installed may also contribute to frequent clogs. Pipes with many sharp angles are more likely to develop blockages. Commercial drain cleaning products may help to remedy the situation for a while, but if the problem keeps recurring, you will eventually want to engage the assistance of a qualified plumbing professional to clean out the gunk and build up inside your pipes. A slab leak is a leaking pipe located under your home’s concrete floor. Slab leak can be difficult for the average person to detect. You may find unusually warm spots on your floor, dampness on floors or carpet, wet baseboards or mold growth. You may also see water pooling near the foundation or you may notice you water bills increasing significantly. Using specialized equipment, we can pinpoint the location of the leak and get the problem under control in no time at all. Your Winchester neighbors and other nearby residents had great things to say about our service! Click here to read our reviews. Most tap water contains low levels of impurities and contaminants. It’s not uncommon for drinking water to contain arsenic, lead and chemicals from pesticides and herbicides among many others. The result if water that has a funny taste or odor, or that is cloudy. Adding a whole-home water filtration system will dramatically reduce the impurities in your water and deliver clean, fresh tasting water to you and your family. You will also enjoy the peace of mind that comes in knowing that the water your kids are drinking is healthy and free of contaminants. You’ll never have to buy bottled water again. Great professional and courteous service!! Would recommend! Nick took my phone call and set up a time that same morning for Tim and Dave to come by and check the leak we had under our home. All were professional, kind and understanding. Tim and Dave had the job done timely and also tightened a toilet seat for me while they were here. If I have any other problem I will call this company again also will refer to others .Thank you all again. Installing a 3/4 HP garbage disposal in murrieta ca. 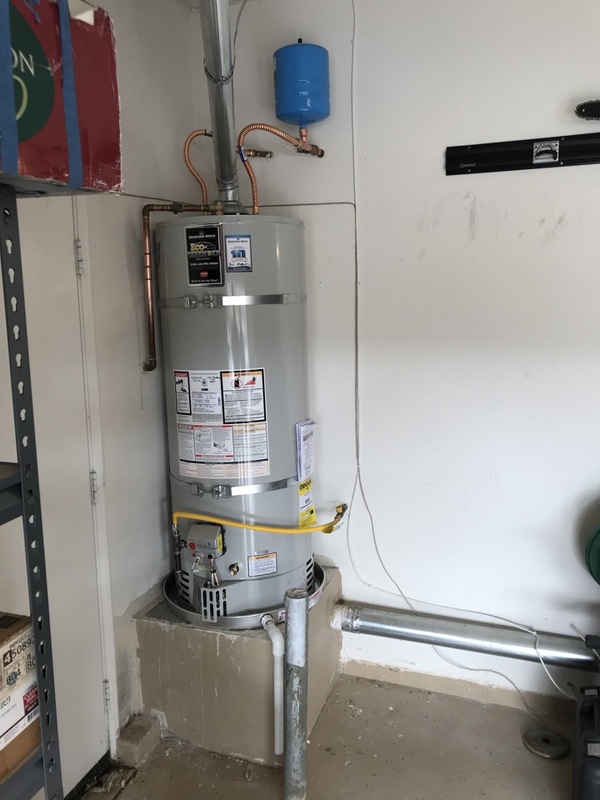 Installing a 50 gallon Bradford whit water heater in Winchester ca. 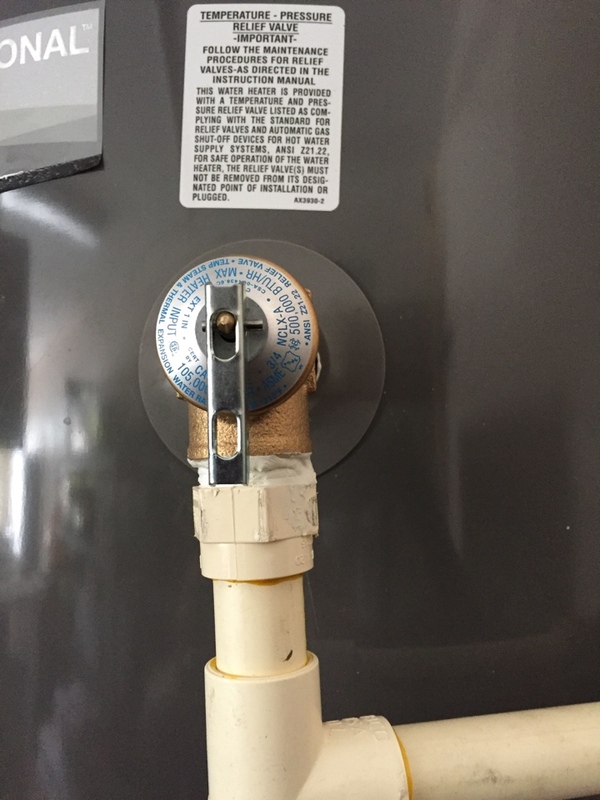 Replacing a faulty water heater supply line that leaked into the home in Winchester ca. Under the home the condensation line had detached causing a leak. We were able to go underneath the home and reattach the line. Tightened toilet seat and tank to prevent future leaks. For all your plumbing needs in Winchester, there’s only one number to dial: 951-428-1565. Call us today for fast, friendly and efficient service.